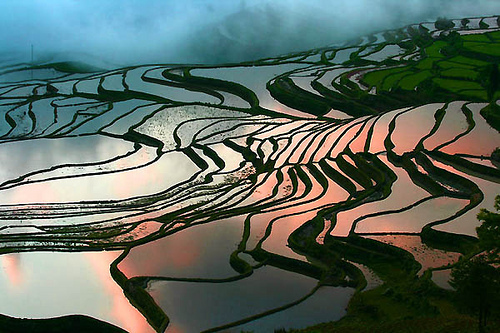 Rice Terraces of Yuanyang – South West China’s Yuanyang is a province abundant in natural beauty and ecstatic scenery. 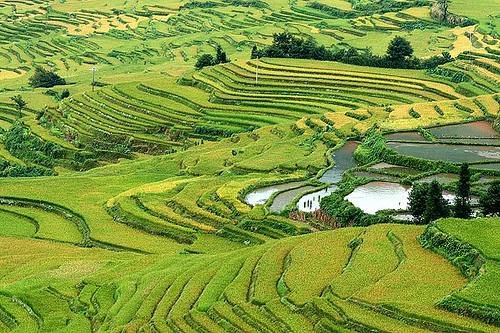 It has earned great name in the list of scenic wonders due to its spectacular rice terraces. 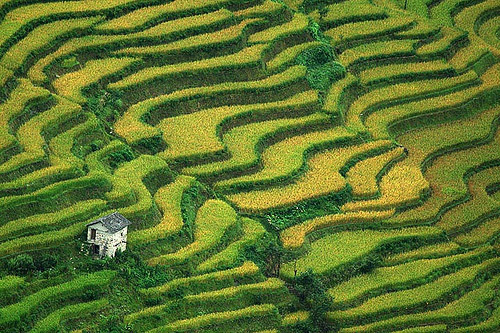 Dropping from near the summits of the 250-meter Ailao mountain range to the deep cleft of the Red river, these rice terraces are among the world’s most spectacular and extensive terraces ever seen. 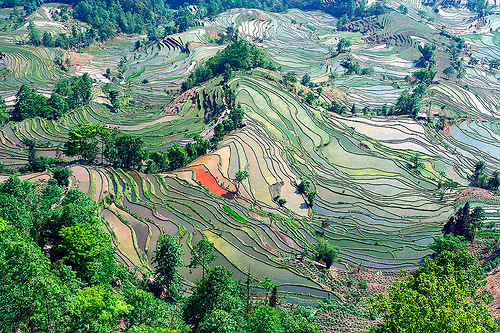 As a little known scenic wonder in southwest china’s Yunnan province, these rice terraces stand firmly with all its beauty and charm. Although its beauty has graced many but due to its remoteness it has been overlooked. With inadequate publicity and remoteness, this scenic beauty has not only failed to develop for tourism but has also lost much of its appeal and charm. 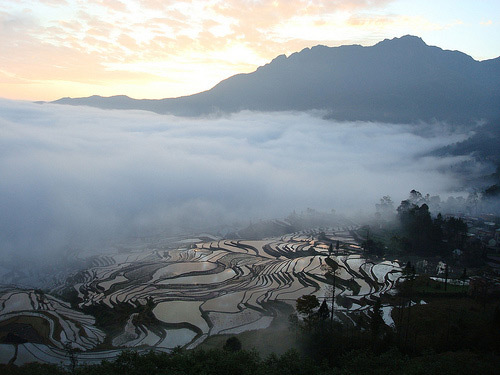 Despite huge problems and threats, the Yunnan province is concentrating high on information flow. An NGO, called ‘World Vision‘ that has been working there for years with great dedication is trying hard to benefit the villagers in various ways. 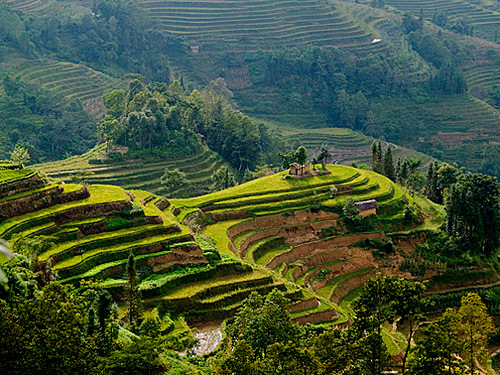 Setting up fair trade co-operatives for ethnic art and crafts, imparting education to villagers to work as mountain guides, this organization is dedicated enough in setting up a sustainable tourism network in the area.